MotorUncle Forum - Hyundai Service Centre Duped you? We will help you better than Hyundai Customer Care! Hyundai Service Centre Duped you? We will help you better than Hyundai Customer Care! Hyundai Service Center Duped You? Hyundai has more than 1200 service centers in India. Hyundai is committed to offer best after sales service through these centers. It conducts various kinds of service events to deliver pleasant Hyundai drive experience. In addition to seasonal camps, free car care clinic will be organized to keep your car in right condition. The service program offered by the company include road side assistance retail, road side assistance, 24 x 7 call center, insurance program and extended warranty program. You can raise your queries and connect with customer care executives through the toll-free number, 1800-11-4645 (Only BSNL and MTNL numbers). Mobile users can reach 09873564645 (for GSM connections). The Hyundai after sales car service request can be raised through the Motor Uncle. Many customers suffer from overcharging, repeat repair, non-genuine parts and rude behavior of service staff. Motor Uncle will address all these issues and the maintenance of the car will be done very efficiently. You can experience red carpet welcome at Motor Uncle. The service complaint can be registered online and the request will be shared with your car dealership immediately. The service complaint can be submitted online as well. The dealers can be rated based on their responsiveness. There are some dealers who do great job by satisfying the needs of customers. You can rate the dealer so that you will help other customers in choosing the right dealer to fulfill their needs. If you are purchasing a new vehicle, you can compare one or more vehicles with the information provided on the website. You are advised to join the forum to get the pulse of the motor industry. The forum is a great place to share your concerns with other customers. 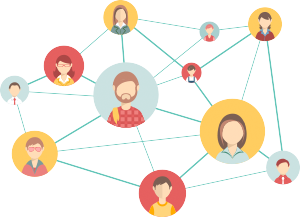 The social sharing experience will be speeded up with the active participation in forums. You can visit https://motoruncle.com/forum to access forums. You can raise your voice with Motor Uncle by filling the online form. Motor Uncle is committed to offering a service better than Hyundai Service Center. Hence, you can approach MU to get quick and prompt resolution for the issue. You can upload the service issues online by taking few snaps as well so that the information can be conveyed in a better way. https://motoruncle.com/ is committed to offer best car care. The website is one stop solution for car purchase as well as maintenance. Motor Uncle will do comprehensive research on cars. It collects information from various sources including automobile experts, magazines and consumer data. Consumer surveys are conducted to get the real pulse of the market. The ratings are considered on various parameters such as style, space, AC performance, mileage, driving experience, pickup, comfort, features & accessories, maintenance cost, resale value, after sales service experience and overall quality. You can get a report card of every car so that an informed choice can be exercised.